You know what they say about the best laid plans, right? Well, in this instance the plan just wasn't enough! I truly thought I had more than possible planned for the meeting where we were working on Drawing and Jeweler. We split both badges and did a couple activities from each. The girls completed everything and we still had time, so we finished up the Drawing badge. My amazing Assistant Leader did the research and put everything together for this badge. Here is what the girls did. Each girl was handed a 6x8 sheet of sketch paper and an assortment of drawing mediums to choose from. They had crayons, pencils, pens, markers, and colored pencils. We left it up to them which they wanted to use. In the middle of the table, we set up a box of Honey Grahams and water bottles for their still life. They girls were asked to draw the still life in their medium of choice. Keeping the same still life drawing, the girls were challenged to be observant and draw in the shadows of the objects. It worked out great, because the fluorescent lighting was really showing shadows on our table. With a new sheet of paper, Caitlin explained what perspective drawing was. She gave examples of different types and the girls once again were able to use whatever they wanted to create their artwork. We have a troop blog and the girls decided they wanted their artwork posted there for friends and family to see. They also requested I put the drawings on FaceBook, which I did do. Any comments that I get will be passed along to the budding artists. And... that was that!! They accomplished it all in one meeting, along with a few Jeweler activities. They did a great job and we all made sure we critiqued their artwork and shared how proud we were of them for getting so much done. We are spreading badges over a couple meetings these days, as that way we don't focus on one thing and get bored with it. Junior GS Way was a lot fun and the girls were able to earn it in a couple meetings. As I said, we also worked on a few other things at the same time. We did Windows to the Past for the 2000s decade and worked on some Cookie "stuff". Note: This is what WE did. It isn't gospel. It isn't the ONLY way. We adjust, improvise, and make the activities match our girls interests. It also helps that our troop is getting older and volunteering for stuff. 1. Match songs to an occasion. Our troop is leading songs for a Service Unit event, so this tied in beautifully. I explained the event (Thinking Day), their responsibility, the ages of the girls in attendance, and let them go through the troop song book to select 4 songs. They actually decided four songs would be the perfect amount for the time we are allowed. They chose Alice the Camel, If You're Cheering for the Girl Scouts, Peanut Butter Jelly, and Mama's Soup Surprise. What can I say... my girls like singing fun songs. Ha! But, hey, it's girl-led and I know the other girls will love it, too. 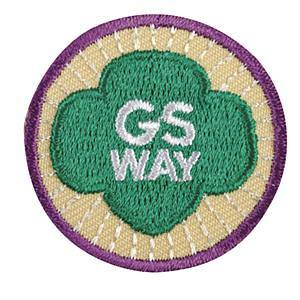 I used the story in the Junior Girl's Guide to Girl Scouting. I read the story to the girls and we then did a crossword puzzle (https://makingfriends.com/crossword_juliette/) together to learn more about Juliette Low. I think they girls really did enjoy this activity, too. They perked up when they heard Ms. Low wasn't always the way people expected her to be and got in trouble in school. It's good for them to know that you don't have to be perfect in order to accomplish great things. I also stressed the importance to know that she is part of their history. She is the original Girl Scout sister, afterall! This is where we tweaked a little. My troop LOVES (and I mean LOVES) making SWAPs... to keep... rarely sharing. We have Pen Pals, though. So, we made our pen pals cupcake perler beads SWAPs and are sending them with our letters to celebrate the Girl Scout birthday. 4. Leave a place cleaner than you found it. Easy peasy!! I asked the girls to look around the place where we meet and think of things to do to clean, straighten up, etc. I need to figure out a way to tie this in to EVERY meeting, as they thought and did things that I wouldn't have asked them to do. They were shining the sink, wiping down all the window ledges, cleaning up the bathroom vanities. They were also very proud of their work, which they should have been. They did a great job. Again... thinking outside the box here. We did a couple different things. We made a swap holder where they learned the whip stitch. These turned out SUPER CUTE!!! See below for instructions. We also practiced some knot tying. Unfortunately, their leader was a slacker and forgot to sharpen her skills on knot tying before the meeting so we did overhand and square. That was it. But, they know how to do a square knot in their sleep now. That was an accomplishment, because we had tried that two other times and they didn't get it. I ordered Girl Scout fabric off ebay. I originally collected the fabric for a quilt for my Step-daughter, which I did make and may talk about another time. But, I "collected" more than I needed... much more... so, crafty me sought to do something with it. As mentioned, our troop LOVES SWAPs. The problem is, what do you do with all those SWAPs you make or collect?? I bought 12" wooden embroidery hoops, cut 15" square piece of fabric and came up with the plan. 1. Stretch the material tight inside the hoop. 2. Use crochet thread or embroidery floss to whip stitch around the the entire hoop. Tuck the excess fabric around to the back as your are stitching and stitch through both layers. 3. If you want, thread on beads between stitches. 4. Tie off with a knot. 5. Trim off excess fabric and you're done. Easy peasy. * If you fabric is directional and you are OCD, make sure the screw tight pin is where you want it before you start sewing it together. I haven't forgotten you guys. I love all the emails and comments I'm getting, too. Cookie Season is happening here in Mid-Missouri and well... it's taken over my world. 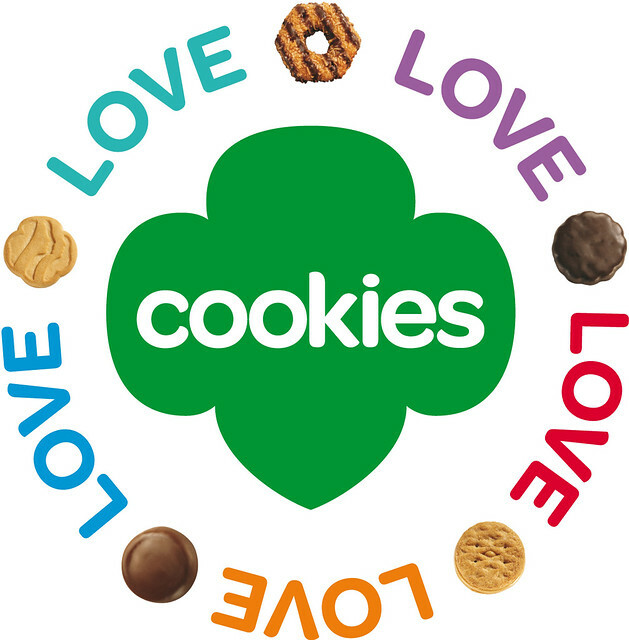 Our troop of 9 has 124 cases of cookies coming my way on Saturday and two booth sales next week. I'm a little frantic, but I know it will work out... right? Anyway... I will tell you what we've been up to lately and what you can look forward to hearing about soon. Our Juniors have earned their 2013 Cookie Activity Pin, 1990s Windows to the Past bar, 2000s Windows to the Past bar, and Cookie CEO badge. In addition, we are working on Junior Girl Scout Ways and the 2010s Windows to the Past. Coming up quickly is Drawing and Digital Photography. We're also keeping up with Pen Pals and planning a troop trip and thinking about a Journey in a Weekend for aMuse. The most exciting thing for me has been our SWAPs holders... I didn't see a way to truly tie that in to anything, but it works with the Junior Girl Scout Ways activities we are doing. It's not really a badge activity, but a great add-on. Those are fun, too!! I hope to have some time later this week to let you know what we have done for the completed badges.